Gigi has been digging through her UFO pile. Jasmin has made some progress on Meghan's Twist Cardigan. Gigi has unearthed her Classic Slant Cardigan (by Deborah Newton, not Veronik Avery), and Jasmin has come to her rescue with the Interweave Knits on CD. Jasmin's Cece has gotten stalled. Gigi has made progress on her Cassidy. Jasmin is working on Andrew's socks out of the Creatively Dyed Yarns J'ouvert base (color "Cake"). Jasmin is working on a pair of Snapdragon socks out of Abstract Fiber Temptation (color "Snapdragon"), which will have afterthought heels. Gigi has been working on her Heart to Heart scarf (by Sivia Harding). Thanks to Sarah over at Stash Resolution. Go over and give it a listen! We mention the 2011 thread. Post your 2011 goals! We talk about managing your Ravelry queue and picking projects that flatter. We mention the HOAX fashion formula book. We mention the Knitpicks brass stitch markers. Gigi's Maia shawl has given her "three bears" moments. Jasmin goofs on Meghan's sleeves, yet again. This week, we review Lucy Neatby's Sock Techniques 1 . It's a great value, as it's less expensive than a basic sock class at your LYS, and more comprehensive. Jasmin has been spinning her Barbie dream fleece, and the Crown Mountain Farms Blue Faced Leicester from the Fiber of the Month Club (pictured above). 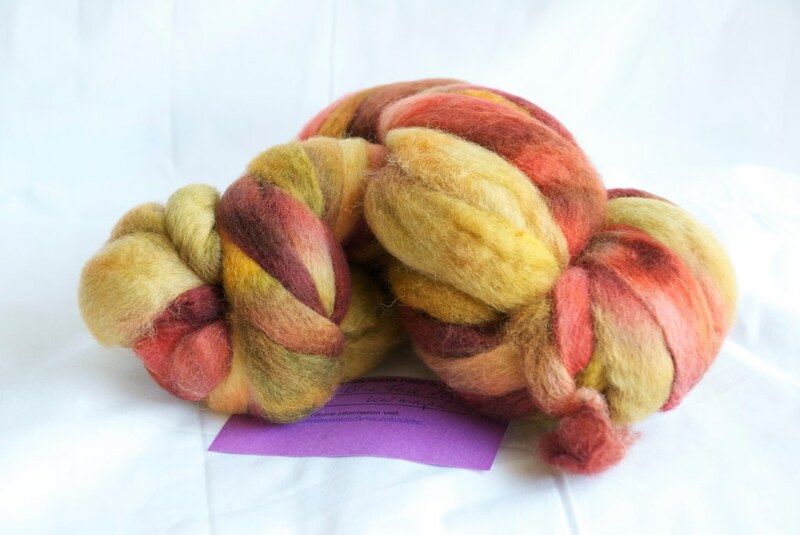 Other vendors mentioned include Susan's Spinning Bunny and Abstract Fiber. Thanks for the link and shout out. Much appreciated!